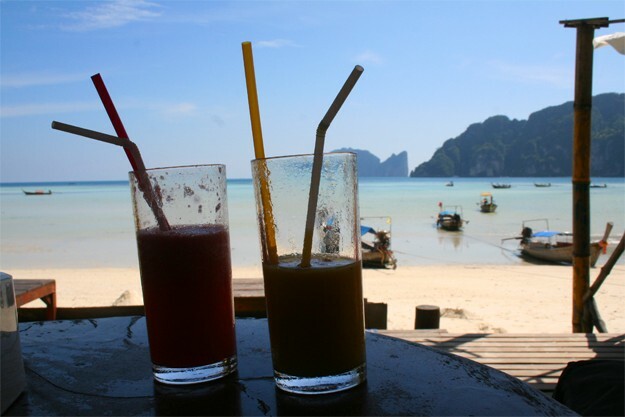 ﻿ What to drink in Phi Phi Island? Local fruit juices, mixed and shaken with ice. We had a big crush on delicate and refreshing watermelon shake, but also on pineapple shake, mango shake and lemon shake. Usually, fruit shakes cost between 50 and 70 Baht. The best place to enjoy them ? Monkey Beach Bar on Loh Dalum Bay, where you can taste their unforgettable coconut shake, refreshing and creamy at once. 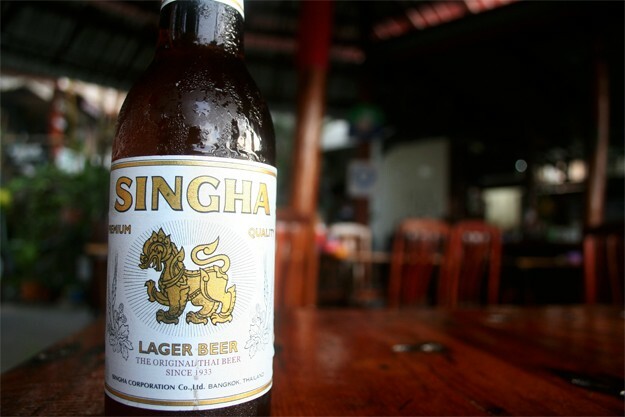 Prestigious local beer is called "Singha". It is a bit more expensive than the "Chang", making it a favorite of broken backpackers... but I must admit that the "Chang" is less tasty. In both cases, you'll love their exotic label. Elephants on "Chang Beer" label is also a famous symbol to take home, printed on a t-shirt. 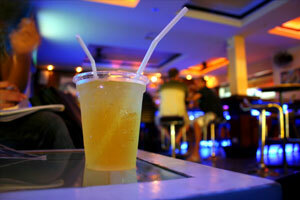 In Phi Phi bars and restaurants, a Chang beer costs about 50 Baht, a Singha between 60 and 80 Baht. Tip : buy beer and soft drinks at grocery stores and sip on the beach (Avoid at all costs to throw bottles into the sea pleeeaase !). It costs about 30 baht per can of beer. As soon as the last rays of the sun had vanished, buckets stalls appear in the busy streets of Tonsai village. 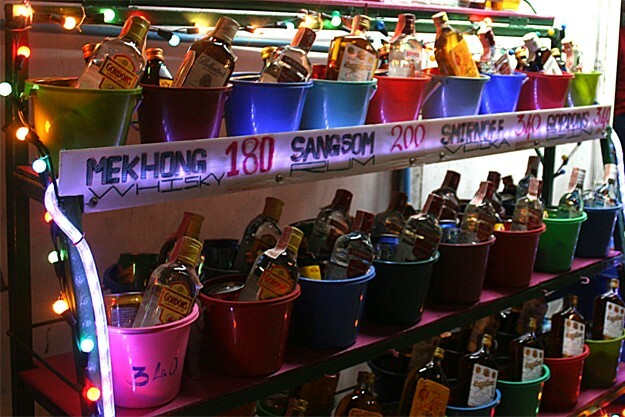 These colorful buckets are very popular with travelers who can make their own cocktails at reasonable prices. Each bucket contains soft drinks and a bottle of liquor. Then just mix everything directly into the bucket. Everyone can drink through a straw and sip cocktails. And of course... Drink Responsibly!